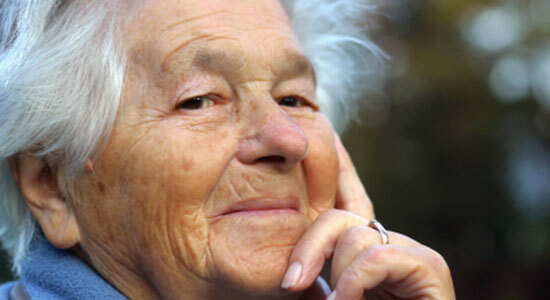 Do you have a legal question regarding nursing homes or nursing home injuries or neglect? Many people who have elderly loved ones residing in nursing homes have many questions associated with nursing homes and nursing home abuse or negligence. For your convenience, we have taken our most frequently asked questions and posted them into categories below. These categories include how to choose a nursing home, general law questions about nursing home legal claims, medical mistakes, nursing home negligence, and the rights of nursing home residents. I need to find a nursing home. I don't know where to begin. How should I get started? What should I look for when choosing a nursing home? What's a plan of care? Why does abuse still exist inside nursing homes? What is negligence? Why do I have to prove it to have a case? How much is my nursing home abuse claim worth? Will I have to go to court to resolve my nursing home abuse claim? When can I sue a doctor for medical mistakes? My doctor failed to diagnose my sister's cancer. She didn't receive treatment in time and died. Can the doctor be held responsible? I had complications after surgery. Can I sue my doctor? Can a nursing home be held responsible for a resident's injury if negligence is found? You should first talk to your doctor. Or, if you're looking for a good nursing home for your loved one, talk to their doctor. You should also ask family members and friends for recommendations. Word of mouth is always a good source of information. If you live in Pennsylvania, you can call your local Administration on Aging. There are also hundreds of Long-Term Care Ombudsman programs nationwide where you can get information. In Pennsylvania, the Ombudsman program is run through the Department of Aging. You can get more information with our list of online nursing home resources and phone resources. You should also check out Medicare's Nursing Home Compare database. Another useful site is the Nursing Home INFO - The Nationwide Nursing Home Directory. You should consider a variety of factors, including location and visitor's policies, the patient-to-staff ratio, the experience and training of staff members, the appearance of the nursing home and the residents, sleeping accommodations, activities, dining facilities and menus, healthcare issues, day-to-day living issues, what the agreement says, and how the nursing home is operated. The list of considerations is exhaustive. To help you make a good decision, view our Guide to Choosing a Nursing Home. Very prevalent. A recent congressional report shows that more than half (54 percent) of American nursing homes are understaffed. Understaffing leads to nursing home neglect and abuse, including increases in bedsores and malnutrition and dehydration . In Pennsylvania, there were 784 licensed/certified nursing facilities. Each facility averaged 109 clients. These facilities each averaged about 44 nurse's aides, 15 licensed practical nurses, and 10 registered nurses for all shifts. On average, each patient was provided with less than 3 1/2 hours of direct care per day. This isn't a lot of time to spend in a 24-hour-day, especially when these nursing home residents need assistance with an average of about 4 activities of daily living. Over time, the issue of understaffing hasn't improved. Under the federal Nursing Home Reform Act of 1987, nursing homes are required to develop comprehensive individualized care plans for residents. This is a written plan stating what kinds of services and care a person needs for a specific healthcare problem. Plans of care must include measurable objectives and schedules to meet each resident's medical, nursing, mental, and psychosocial needs as identified in the a comprehensive assessment. The comprehensive assessment must be completed within 14 days of admission. The plan of care must then be developed within 7 days after completion of the assessment. The plan of care must also detail the services to be provided. It must be periodically reviewed and revised by a team of qualified persons after each comprehensive assessment. Unfortunately, nursing home abuse may occur because of the desire for profit. Those caregivers who work in nursing home facilities are often stretched beyond their ability. They try to do the best job that they can, but often the lack of additional support restricts what they can do to help patients. Understaffing is a common cause of nursing home abuse and neglect. Often, profits take a higher priority than patient care. Many nursing homes are run by large corporations that own multiple facilities across the United States. The individual home ends up being run from the board room, rather than with a patient focus. In addition, many of these nursing homes are budget- or census-driven. The administrators want to come in under budget to make more profits for the corporation. This desire for profits translates into less staffing; less training for the staff that they do have; less food -- or a lower quality of food -- for the patients; and less management and oversight. Therefore, a conflict arises between saving dollars and providing good care. In many instances, the Medical Director of a nursing home benefits from the amount of profit generated by the nursing home they manage. A moral and ethical conflict then arises for Medical Directors. They must choose between increasing the profit margins of their individual facilities or supplying more support staff for the care of residents. Even an established system of "pool nurses or nurse's aides" are difficult to find in nursing homes. Each nursing home should have some type of "pool" available to them in case of call-offs, holidays, etc. But maintaining that system costs more money. Instead, nursing homes run understaffed. There would likely be a much higher level of care given to patients if adequate staffing were provided. In its simplest sense, negligence is carelessness. In order to prove negligence, the law requires that you must show that the person who caused you injury owed a duty under the law to be careful under the circumstances; that the person breached his or her duty; that the person's breach of the duty caused your injuries; and that you indeed suffered injuries because of the breach. Each case is different and dependent on its own facts. It is impossible to answer such a question until the injured person has finished medical treatment. At Edgar Snyder & Associates, our attorneys and legal staff have the experience and resources needed to get our clients the maximum amount their cases are worth. Each case is different and is dependent up on its unique facts. It's difficult to even venture a guess without a thorough knowledge of the facts of the case, the injuries, and the parties involved. Generally, the more complicated the case, the longer it takes to settle. Also, the settlement process can't even begin until the injured person's medical treatment is finished. The cost of the medical treatment will figure into the settlement. Each case is different and is dependent upon its facts. Without a thorough understanding of the facts of the case and the injuries and parties involved, it's difficult to try to guess whether the case will wind up in court. It really depends on how willing the nursing home is to settle, and whether they will agree to a fair offer. The Statute of Limitations for an adult to file a personal injury lawsuit in Pennsylvania is two (2) years from the date of the accident or from the date when you learn you have an injury. For example, if your broke a leg in a fall, the Statute of Limitations for a personal injury lawsuit to be filed would start running on the date the injury occurred. Although you have two years to file a personal injury lawsuit, we recommend that if you are hurt in an any type of accident that you consult with an attorney as soon as possible. If you are under 18 when you are injured, you have two (2) years from the date of your 18th birthday to file suit, unless you were emancipated from your parents at the time of your injury. Remember, Statute of Limitations vary by state. A medical mistake is nothing more than negligence committed by a doctor. Therefore, you would need to prove the four elements of negligence: the doctor owed you a duty of care, the doctor breached that duty of care, the doctor's breach caused you to suffer an injury, and you indeed suffered an injury. In medical mistake cases, you must also have a new injury, not just the injury that you went to the doctor for in the first place. You should consult an attorney for an consultation of your claim. Failure to diagnose is a medical mistake that is actionable. You should consult an attorney for an consultation of your claim. Complications are a normal part of surgery. Usually, patients are informed of normal complications. In such cases, doctors cannot held responsible. Yes. Nursing homes are held accountable to similar standards of care that you would expect from any hospital or other health care facility. Nursing homes can be held liable for negligence, and you can seek financial compensation for damages suffered because of that negligence to you, a family member, or a loved one.